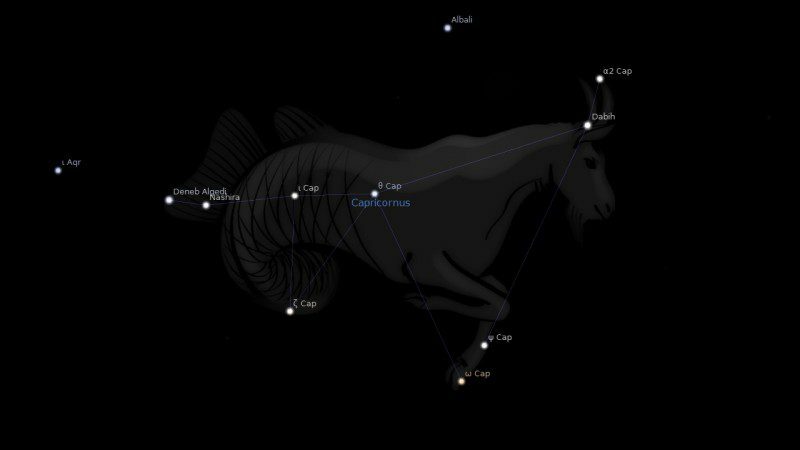 Fixed star Oculus, Pi Capricorni, is a 5.1 magnitude double star in the right eye of the Sea Goat, Capricornus Constellation. The traditional name Oculus is a Latin word which means Eye. It is sometimes called Okul in astronomy. 1. Fixed Stars and Constellations in Astrology, Vivian E. Robson, 1923, p.180. 4. The Fixed Star Health and Behavior Imbalance, Ted George and Barbara Parker, 1985, p.144.